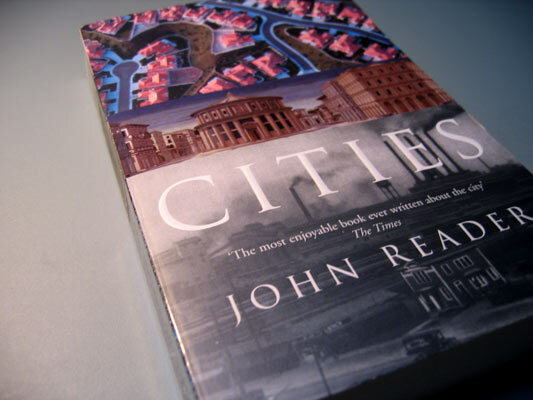 I’ve just finished Cities by John Reader, on the history of cities, and it’s chock full of information and great stories. Not long after the importation of bicycles had begun, large numbers of one- and two-man repair shops sprang up in the cities. Since imported spare parts were expensive and broken bicycles too valuable to cannabalise, many repair shops found it worthwhile to make replacement parts themselves — not difficult if each of the shops specialised in making only one or two specific parts, as many did. In this way, groups of bicycle repair shops were in effect manufacturing entire bicycles before long, and it required only an enterprising individual to begin buying parts on contract from the repairmen for Japan to have the beginnings of a home-grown bicycle manufacturing industry. So, far from being costly to develop, bicycle manufacturing in Japan paid for itself at every stage of its development. And the Japanese got much more than a bicycle industry from the exercise. They had also acquired a model for many of their other industrial achievements: imitation and a system of reducing complex manufacturing work to a number of relatively simple operations which could be done in small autonomous workshops. The pattern was applied to the production of many other goods, and underwrote the soaring economic success of Japan during the twentieth century. Sony began life at the end of the Second World War as a small shop making tubes on contract for radio assemblers. The first Nikon cameras were exact copies of the Zeiss Contax; Canon copied the Leica; Toyota Landcruisers were powered by copies of the Chrysler straight-six engine. It’s distributed manufacture, a network of independent units operating as a single factory, but in a more agile way. It reminds us that the idea of interchangeable parts is relatively new–and was a world-changer. It parallelised and distributed manufacture. Are we at the level of interchangeable parts in software yet? Despite common protocols like HTTP, I don’t think so, not quite. It points to an alternative to the mass manufacture and assembly line of Fordism. The parts can be accessed separately from the assembly, we can build our own neighbourhood factories for custom goods! Mass manufacture doesn’t imply treating workers like interchangeable parts too! What’s more, it bootstraps off mass manufacture and makes something different out of it. This pattern is happening, right now, in India with mobile phones. 100s of small shops repair and rebuild phones with generic components and reverse-engineered schematics, supported by a developed training and tool-production infrastructure. How long before we’re seeing cheap-as-chips kit phones, assembled by entrepreneurs harvesting the market stands of Delhi?